EXCLUSIVE PS4™ FEATURES: Game-changing innovations and ways to keep playing, like Remote Play and Share Play. INTERNAL STORAGE OPTIONS: Available with a choice of 500GB and 1TB consoles. TWO CONSOLES, ONE PS4™ FAMILY: Connect with friends on PlayStation®4 and PlayStation®4 Pro consoles, and hook up with the biggest online community of players with PlayStation®Plus*3. GAMES: All games are fully cross-compatible with PS4™ and PS4™ Pro, and players compete online in the same multiplayer ecosystem. A STUNNING NEW DESIGN: A slimmer and lighter console with stylish new looks and packed with true PlayStation®4 power. 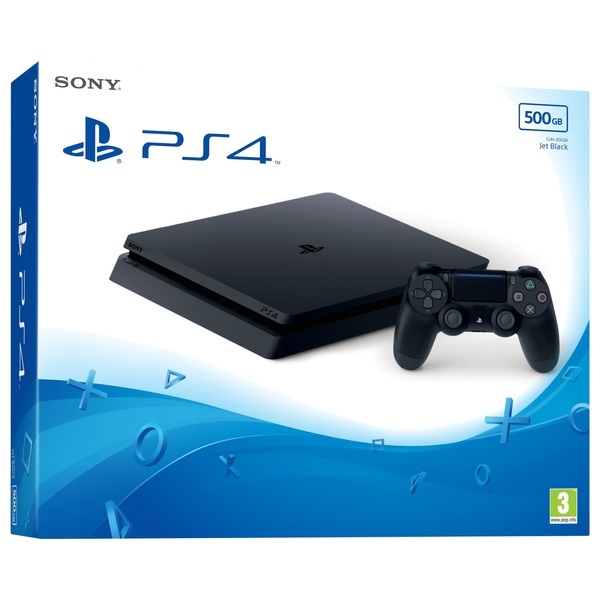 With its sleeker model, the new PlayStation 4 console packs all the amazing features gamers have come to expect from PlayStation 4.